A Good Solution to Car Parking Charges? It is that time again when the Parking Advisory Panel talks about car parking and the associated changes. No matter what the panel comes up with, some will still not be happy with the proposals. However, I have tried to give what the towns and villages requested via the Community Networks and its Cornwall Councillors; which I have blogged about before HERE. These proposals will be presented to the Parking Advisory Panel on the 15th September who will then recommend them, subject to any changes to Cornwall Council’s Cabinet. These proposals are different to the previous one size fits all. Some may moan about it not being the same everywhere, but it is not practical to do this because Cornwall is not the same in every part. In a lot of towns the main aim was to allow more time to shop without a huge jump in prices between first hour and second. 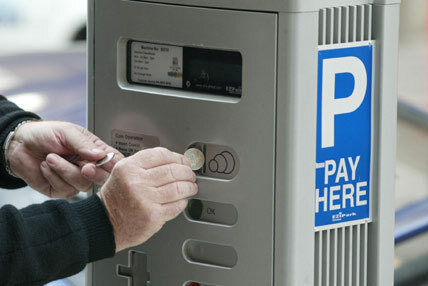 This has been reflected in the proposal of £1 for up to two hours car parking in a lot of the major and minor towns. Many areas like Truro and Penzance have also seen a reduction in day charging period from 6pm in Truro and 8pm in Penzance to 4pm. Instead there will be a flat evening charge. For some of the smaller towns and villages many wanted like Callington 20p for the first hour, or Saltash 40p. In a lot of areas there will be different tariffs for summer and winter. For example Newquay will see a flat rate for a days parking in the winter. In some cases car parking will now be free during the winter period. Again, for example, Porthleven’s Kitto Field car park will have the £1 for two hours car parking in the summer, and in the winter, £1 all day. One of the areas that needed to be addressed was how to help low paid workers who historically work in shops and restaurants and who generally have to use a car park. For many this takes a large part of their wages, and in some case equals a months salary. I have listened to this and will be introducing a parking permit to help solve this issue. The price of this permit will be £300 per year, which equates to £5.70 a week; which is less than an hours (Gov min wage) wage. However, to make sure only those who are in need of this type of permit they will have to be in receipt of Working Tax Credit. This is the best was this scheme can be audited and administered. I believe this is a great solution as it is better than paying for the general season ticket which are £450-£600. For those who have a reserved space the current price is set to stay the same. Not even a small inflation increase. This should help those who have one of these permits, or wish to have one if they are entitled and there are spaces. There was also the issue of coach tariffs. We are talking to the coach operators to offcer general permit to all of their coaches. If they do not wish to take part they can either pay £20 for a day rover ticket, £10 for a single use ticket. However, this is not idea for companies will use towns as a half way point. So, the plan is to introduce the tariff of £1.50 per hour. As lot of work has gone into these proposals and in hope they are well recieved by the public when they go out to consultation. All the proposals in the report will of course be subject to Cabinet approval. I just hope they will accept them because they work.